Gifts of Divine peace. Amen. 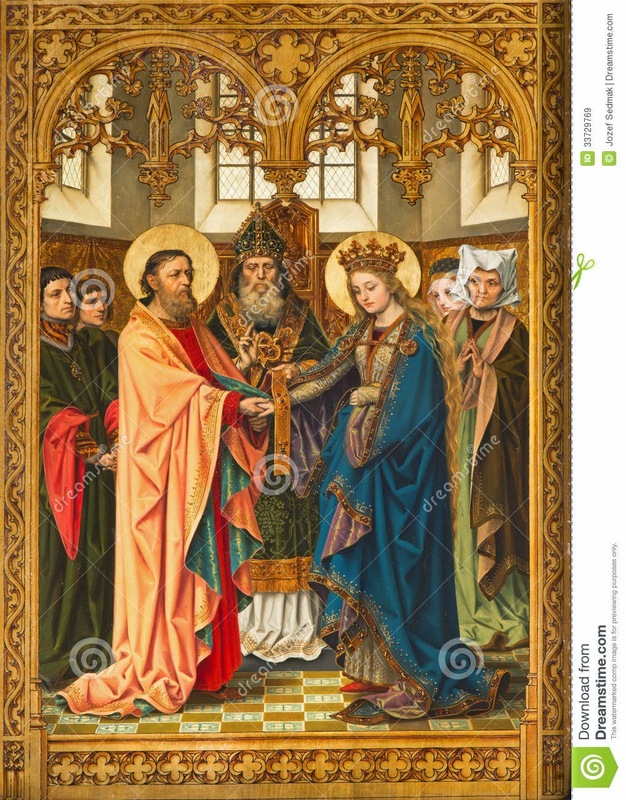 The first definite knowledge of a feast in honour of the espousals of Mary dates from 29 Aug., 1517, when with nine other Masses in honour of Mary, it was granted by Leo X to the Nuns of the Annunciation, founded by Sainte Jeanne de Valois. This feast was celebrated on 22 October as a double of the second class. 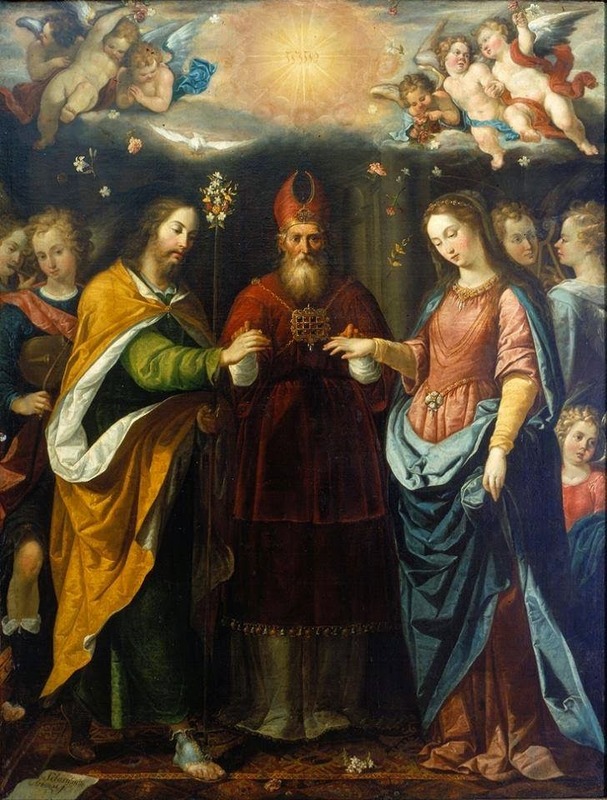 Its Mass, however, honoured the Blessed Virgin exclusively; it hardly mentioned St. Joseph and therefore did not correspond to the idea of Gerson. Also purely as a feast of Mary it appears in the Missal of the Franciscans, to whom it was granted 21 Aug., 1537, for 7 March (double major). About the same time the Servites obtained the feast for 8 March. The Office of the Nativity of Mary was recited, changing the word Nativilas to Desponsatio. After the religious orders, among the dioceses which adopted the feast of the Espousals of Mary, Arras takes the lead. It has been kept there since 23 Jan., 1556. The first proper Office was composed by Pierre Doré, O. P. (died 1569), confessor of Duke Claude of Lorraine. This Office followed the outlines given by Gerson and commemorated both Joseph and Mary. Pierre Doré in 1546 unsuccessfully petitioned Paul III to extend the feast of the Desponsatio B. M. V. to the Universal Church. But even without the recommendation of the Apostolic See, the feast was adopted by many Churches. In Moravia it was in the sixteenth century kept on 18. July.